Are you in a hunt for an attractive casual and lifestyle shoe that will give you superb comfort? 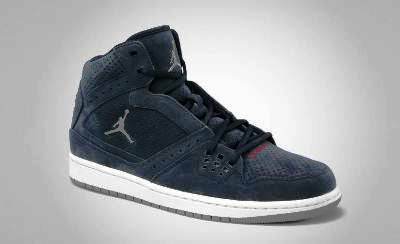 If you are, you should start saving money now and watch out for the upcoming release of the Jordan 1 Flight this July 2011. Inspired by the shoe that started it all, the Air Jordan 1, the Jordan 1 Flight will come out in Obsidian/Stealth-White-Varsity Red colorway this month that is made up with leather and synthetic upper part. It also has a perforated toe are and an airbag in the heel along with solid rubber on the outsole, qualities that makes it worth the money that you’ll be spending for it! Watch out for this one for it will be released anytime this July!